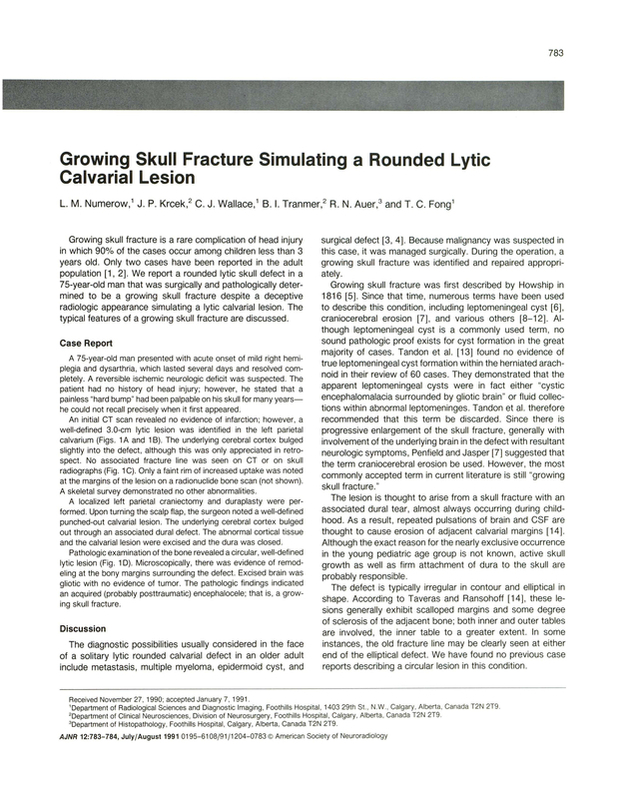 Growing skull fracture simulating a rounded lytic calvarial lesion. Department of Radiological Sciences and Diagnostic Imaging, Foothills Hospital, Calgary, Alberta, Canada. You are going to email the following Growing skull fracture simulating a rounded lytic calvarial lesion.